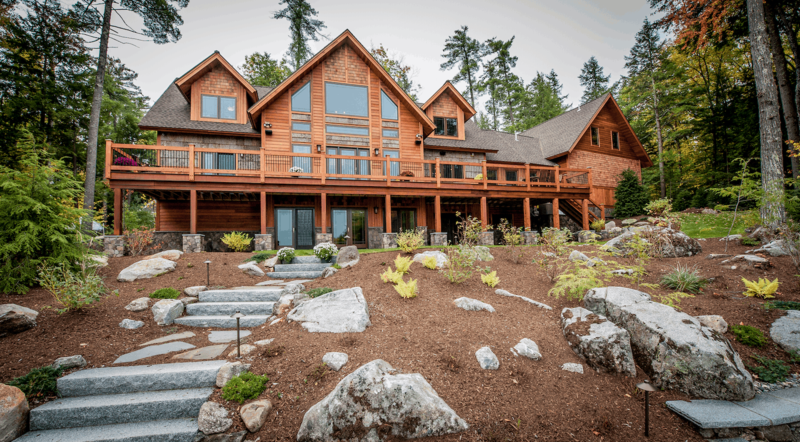 Located in Moultonborough, New Hampshire, this Timber Frame home built by Hayward and Company boasts beautiful stone work and a natural planting palette that blends beautifully with its wooded surroundings. 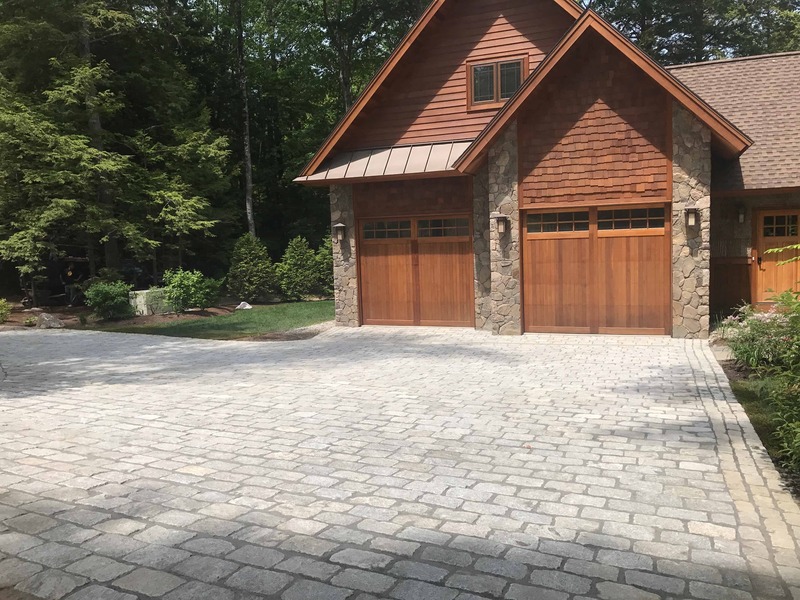 The original landscape design called for a gravel driveway that transitioned to a cobblestone curtain around the garage. 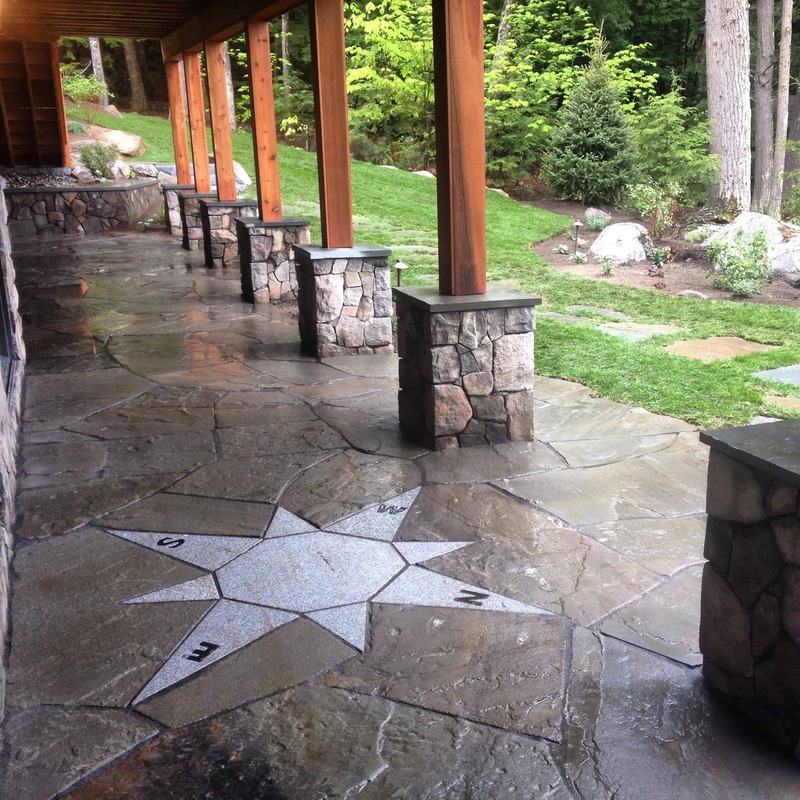 Irregular bluestone walkways gently lit by low voltage path lighting help you navigate the front of the home. 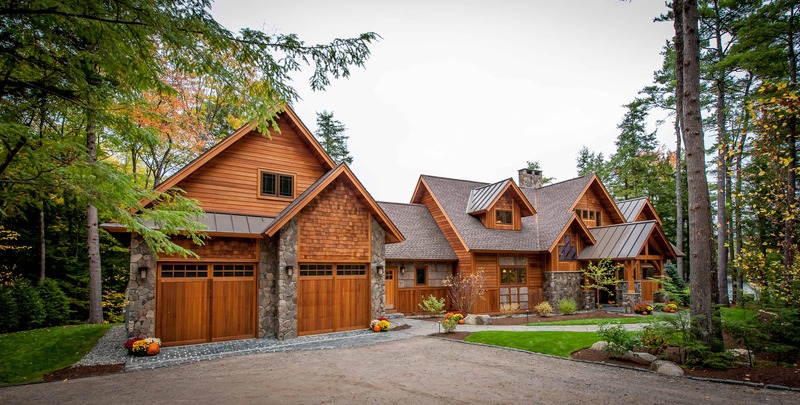 Foundational plantings of native shrubs and trees help to balance out the front of the home and provide a wonderful accent to the western red cedar and poplar bark siding. 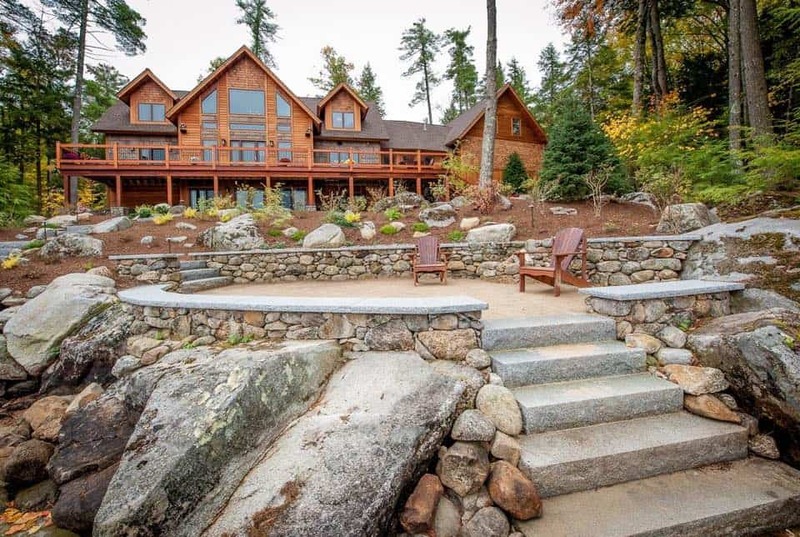 The lakeside of the home is highlighted by an oversized, granite capped, perched beach with a built in fire pit. 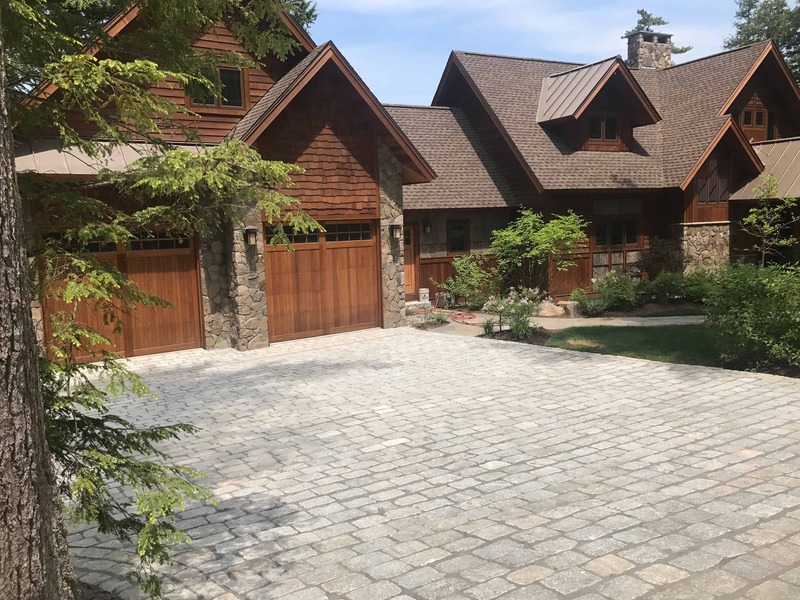 True to Lake Winnipesaukee’s shorefront, the large beach area is nestled between moss covered granite outcroppings that speak to the property’s natural charm. Planting beds with natural brown mulch and native plants helps to blend the lakeside landscape with its natural surroundings.